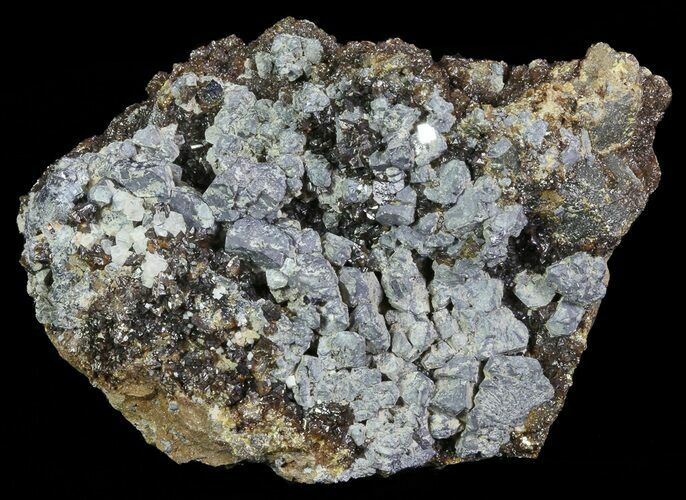 This specimen contains galena, calcite and sphalerite crystals, and was collected from the Pine Point Mine in Canada. 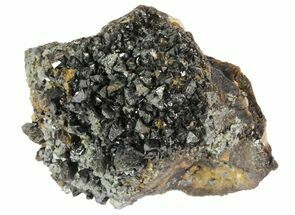 The sphalerite formed as both a druze, and small individual crystals, depending on location on the specimen. 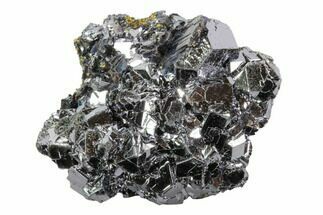 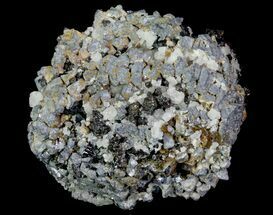 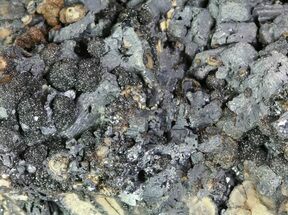 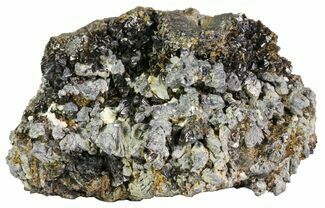 Galena and calcite can be found coating, and partially encrusted by the sphalerite.